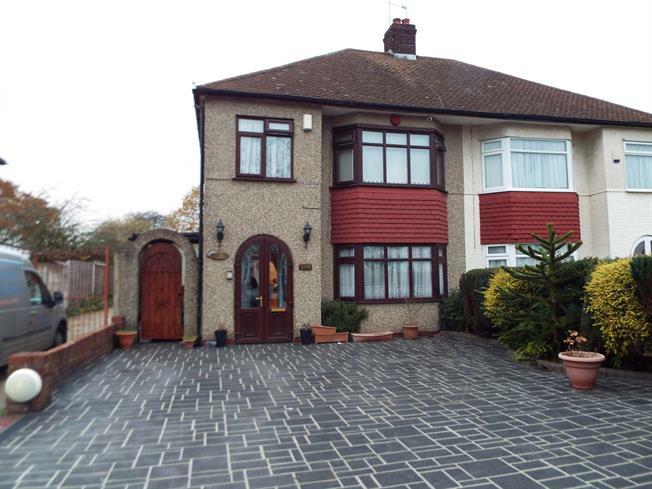 3 Bedroom Semi Detached House For Sale in Ilford for Offers in the region of £500,000. This extended semi detached property offers to the first floor three fitted bedrooms and bathroom with wc. The ground floor consists of a extended through lounge, kitchen, office, second reception, utility room and wc. There is a good size rear garden with detached garage via a gated access road and off street parking to the front for several cars.